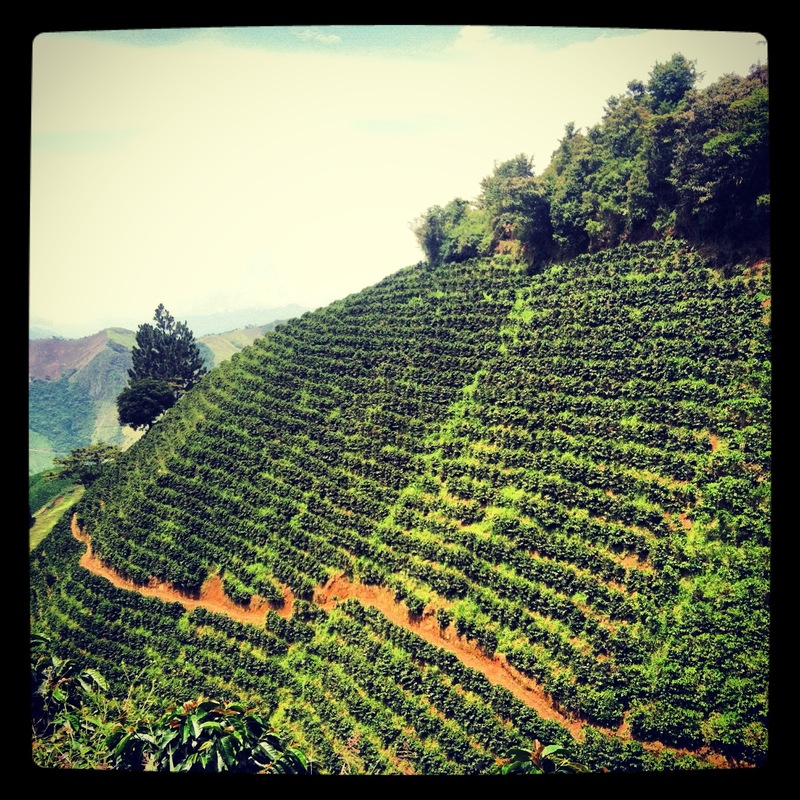 Colombian coffee growing is an agricultural institution if ever there was one. Coffee is native to Ethiopia, but Colombians have adopted and propagated the crop with as much dedication as though it were their own progeny. Coffee grows on trees, and if you leave it alone it will do just fine– fine meaning that it will produce a little and do its best to weather the weather, pests, and plagues. But fine is not good enough in Colombia. Coffee here is the subject of hundreds of thousands of hours of scientific study and hundreds of millions of dollars of investment by the government, the Colombian Coffee Growers Federation, and the growers themselves. Colombian coffee growing is an orchestrated symphony from the moment the seeds are sown to the moment the sacks are packed for port. Here’s what it looks like to make that happen. Coffee and bananas- breakfast is heavy! Coffee drying… stay tuned for a post about processing.